Sometime tomorrow the clothing company from Rob and Dana Linn Bailey, Flag Nor Fail, is launching another edition of its innovative Gym Bro Bag. The product was originally released as a backpack that has many handy features, the most important of which is a slot to hold your weight belt. The newest version of the Gym Bro Bag from Flag Nor Fail also comes with a number of handy features, including of course a place to conveniently carry your weight belt. The big difference, however, is that instead of being a backpack it is a duffle bag where the weight belt feature is incorporated in an all-new way. For now, Flag Nor Fail has only previewed the bag confirming that it has several compartments and that the weight belt works in as a wraparound at the end. 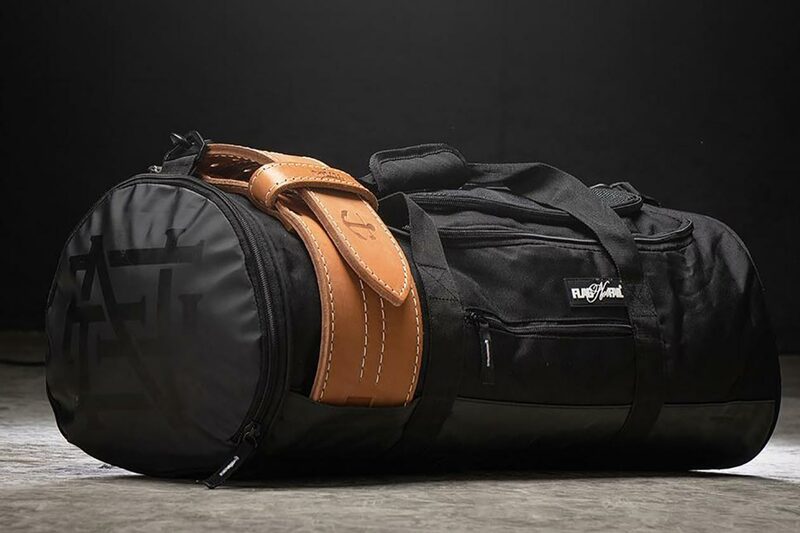 As mentioned, the duffle Gym Bro Bag is launching tomorrow, so if you like the look of it as much as we do, be sure to stay tuned to flagnorfail.com.